Our culture is obsessed with sexuality. We see it in the movies, on television, and in music videos. We hear about it in books and in songs. 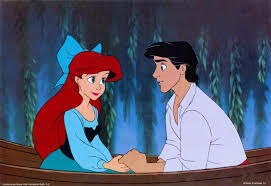 Most relationships, whether on TV, or in an animated Disney movie, hold a healthy tension between a man and a woman and the possibility of romance. Is anything wrong with this? After all, sexuality was God’s idea in the first place. Click Here to Watch the Video... Re-direct to Facebook.